The Girl from Blind River by Gale Massey is a debut novel and a gritty tale of how far we’ll go to protect the ones we love. Crime fiction often falls into terrain where psychogeography is ignored and bad people do bad things because that’s what bad people do. When psychogeography is ignored, Otherness is erased and the geographical and sociopolitical roots of a lot of criminal activity are ignored. In Gale Massey’s The Girl from Blind River, the opposite happens. This is a narrative in which place, upbringing, lack of education, the perennial pressure presented by the impossibility of upward social mobility, and the constant need for money push people to do things they see as their only option. Jamie Elders and her brother, Toby, have grown up hearing the same thing: the Elders are nothing but thieves, cheaters, and convicts. Growing up in the abusive shadow of their uncle because their mom has been locked up in prison for almost a decade, there is not much in their lives they can use to argue against that. However, it is something Jamie—a 19-year old with no prospects and no education—has been trying desperately to escape. Despite quitting college and having no professional training, there is something Jamie can do very well, something she sees as her way out of Blind River, New York, an oppressive and depressive small town: she is incredibly good at poker, both when cheating and when playing it straight. Recently, she has been playing online and making some money, even dreaming of going pro and finally leaving her hometown behind. In the meantime, she helps her Uncle Loyal, who runs a few illegal hustles in town, and tries to keep her brother out of trouble. When her big plan is threatened by a dead laptop, she buys one with money she was supposed to deliver. Soon after, she learns the poker money she was waiting for will never come because the Feds cracked down on online gambling sites. Her decision triggers a series of events that include murder, disposing of a body, and having to work with people she dislikes in order to survive. He landed an open hand on the side of her face and shoved her into the doorframe. The back of her head smacked the wall. Pain like lightning seized her arm. She thought of Toby because if he saw this now, he’d jump in between them. She slumped to the porch floor and pulled her hand to her chest, trying to unfold her fingers and listening to see if the noise had woken him up. Loyal had never been this rough with her but it was all her fault. She’d been born into it and you exactly how her life would play out if she stayed. Two or three kids, a divorce or two. A dead-end job that would keep her half-starved if she didn’t eat junk food and get fat, get diabetes and lose her feet, or die of a heart attack. She saw it all around her, doughnuts and caffeine for the early-morning despair, booze after work just to take the edge of a twelve-hour grind. She thought about her mother standing behind the curtain in the window at Keating’s house. The woman had never had a chance in this town. No Elders did, not really. Contemporary crime fiction is shifting, and clichés about criminals are slowly fading away as new storytelling puts an emphasis on the motivations and socioeconomic realities that push people into crime. Massey is doing a lot in that regard with this book, and she doesn’t stop there. Toby, for example, is a complicated character that was never allowed to have a childhood and can’t stop himself from acting in ways that land him in trouble. Furthermore, he has been surrounded by the abuse commonly linked to the kind of boozing, smoking, gun-toting, punch-throwing masculinity of uneducated, small-town life. Knowing all that, it’s hard to imagine what goes through his mind as he discovers something about himself: “Before he could block the thought, Toby realized the boy was the prettiest thing he’d ever seen up close and a crazy longing opened up inside his belly.” Yeah, Massey is tackling more than one issue here, but she mixes them together wonderfully. Perhaps the more impressive feature of this novel is that it’s a debut. The author’s authoritative, powerful prose and knack for dialogue—especially when dealing with emotions and violence—are more indicative of a seasoned veteran rather than a debut author. 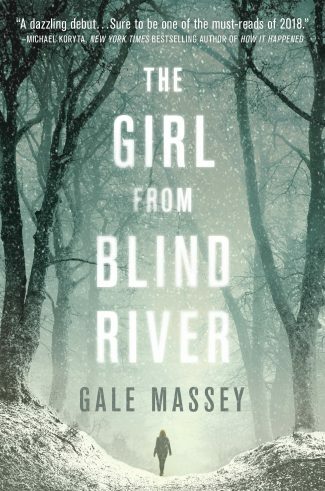 This is great news because it means there is much more to come from Massey, and if The Girl from Blind River is any indication, it will be great. I would love the chance to read this and share my thoughts with my very active online book club with over 10K members! We live in an area with many Amish. I would love this book! I was asked to write a review at the university about this book. A lot of things fell on me that I even managed to do it. But thanks to the excellent review of https://essayservicescanner.com/edusson-review/, I managed to do it. I really liked the review that they did, and I will continue to order them there. I advise you.